If you are concerned about the low traffic or rankings on your WordPress website due to the ineffective SEO backdrops, then “Wordpress SEO by Yoast” plug-in is the perfect key to enhance it. By installing Yoast, you no longer have to go yawning into understanding the complex world of SEO techniques as this plugin does it all for you. Published officially by the credible WordPress developers, the Yoast SEO plugin has undoubtedly simplified the process of SEO optimization by dividing the process into the restructured steps. By this approach, it doesn’t only successfully elevate your site’s page rankings, but also educate you on the SEO techniques. Gradually, you apprehend that SEO is not that complicated at all and it is just a way of putting the right keyword at a right place, submitting to the Search engine algorithms such as Google, Yahoo, Bing etc. Yoast Plugin is the one and only, SEO plugin, which proactively lets you write an enhanced content precisely from the very first word. Furthermore, it gives you options to choose the “Focus Keyword” and progressively guiding you in all the directions to place that Focus Keyword throughout your article. This adaptable feature allows you to maintain the accuracy of a Post’s or Page’s usual errors by prompting you on every slipups like incorrect placement of the keywords, inaccurate length of meta descriptions; Page URLs, etc., and additionally offers you effective options to create a title and meta descriptions of all the different categories, tags and custom taxonomies archives. How cool is to go through an advance Snippet preview of: how the major search engines will show your website’s post or page description, so that accordingly you can correct all the inaccuracies before it get indexed. There is no other SEO plugin which can do it as efficiently as the Yoast. Beyond giving you a complete space and control of optimizing the posts, Yoast furthermore amplifies the optimization process by automatically adding the effective links and Meta tags that are favorable for your search engine rankings. WordPress SEO Yoast offers you the feature of separating the content and let you index only those pages or posts that you want to be there in the search results. Yoast very proficiently tweaks canonical links, which are preferred by the Google to all around your website’s post, pages, taxonomies or entire archives. No other plugin comes with such a hugely productive feature. 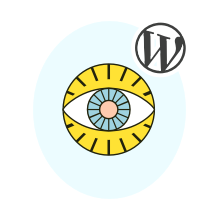 Yoast automatically inserts links to your RSS feed content, so that nobody misuses your intellectual content and let the readers bring into your website, thus accelerating the traffic. It is simply incredible. Yoast offers the most advanced and frequently updated XML Sitemaps operational feature. Besides the pages and post, it moreover add the images to your website to optimize the organic search results. Built-in Yoast’s Breadcrumb feature you can easily configure the navigation functionality of your website, so that your audience will have a amiable experience while visiting your website. You can easily edit .htaccess and robots.txt file which is extremely beneficial to optimize the site optimization. With Yoast, you just need to tune the standard SEO settings only once and steadily you can effortlessly apply it to all your websites. If you are using any other SEO plugin, however want to migrate to the Yoast Plugin, you need not to worry about losing previous SEO settings as through Yoast’s built-in import adeptness, you can easily import those settings.